If you hear a screeching or squealing noise or experience vibrating from the brakes of your RAM 1500 or Chrysler Pacifica, don’t just turn up your radio in hopes of ignoring it. Abnormal sounds coming from your vehicle’s brakes could signify a serious issue, and it’s best to get it checked out right away. Thankfully, the professionals at Glenbrook Dodge Chrysler Jeep® in Fort Wayne, IN can promptly take care of the problem. Unusual braking behaviors will serve as a warning sign that one of the most vital systems in your RAM truck or Jeep SUV is malfunctioning. If you sit on your brake dilemma, it could lead to costly repairs. Furthermore, your car won’t be able to swiftly stop in an emergency situation. Your brakes have a tough gig. When you press down on your brake pedal, all the energy that your vehicle creates by moving on the highway is converted to heat through friction. The immense stress that your brakes go through every time you use them to slow down or stop results in normal wear. So, what are the warning signs to look out for? It’s critical to take action immediately if you start to experience one of these symptoms. The longer you drive with bad brakes, the more likely you’re putting yourself and other Fort Wayne, IN drivers in danger. If your ride is suffering from malfunctioning brakes, it’s time for you to schedule an appointment in our Jeep service center. Our knowledgeable and expert technicians serving Auburn, IN have years of experience and can get you back on the road in no time at all. Our service and parts department near Indianapolis, IN offers a list of amenities, including certified technicians, car rentals, free estimates, early-bird hours, free Wi-Fi, and available shuttle service. You can easily schedule an appointment online and Glenbrook Dodge Chrysler Jeep will take care of the rest. 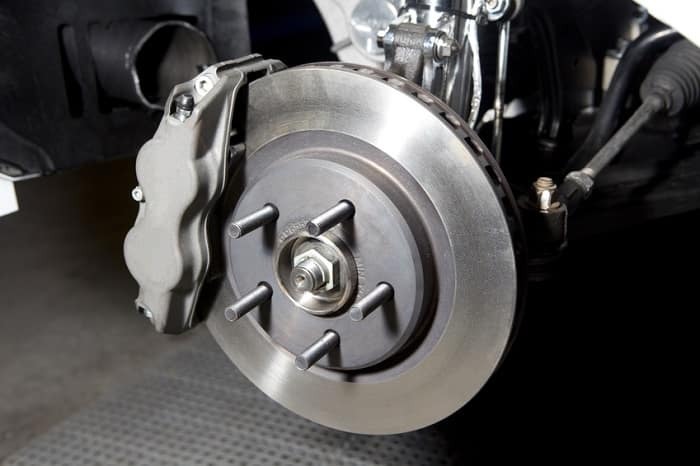 If your car, truck, or SUV needs new brakes, contact our service department today to make an appointment. We always put our customers first and offer swift service to get you back on the road and back to your life, sooner rather than later. To contact us, simply call our service department at 844-300-9564 or visit our new and used car dealership located at 100 West Coliseum Boulevard.